Explore the possibilities of custom framed mirrors, which allow you to further personalize the decor of your space. Custom mirrors adorn unique spots in the home or office, and can be created in a variety of shapes and sizes with frames of all different styles. Custom mirrors have endless design potential, engaging and enhancing their surrounding aesthetics with both charm and functionality. Fill a tall and thin space with a sleek custom mirror with a decorative frame. 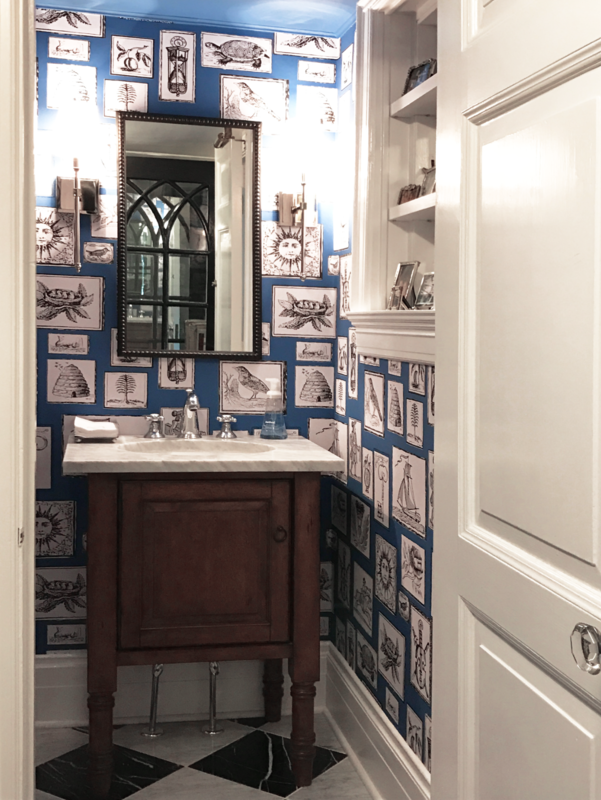 Below, an elegant custom mirror is situated perfectly between two polished nickel wall sconces, its black beaded frame complements the playful wallpaper & the black and white marble floor of the powder room. 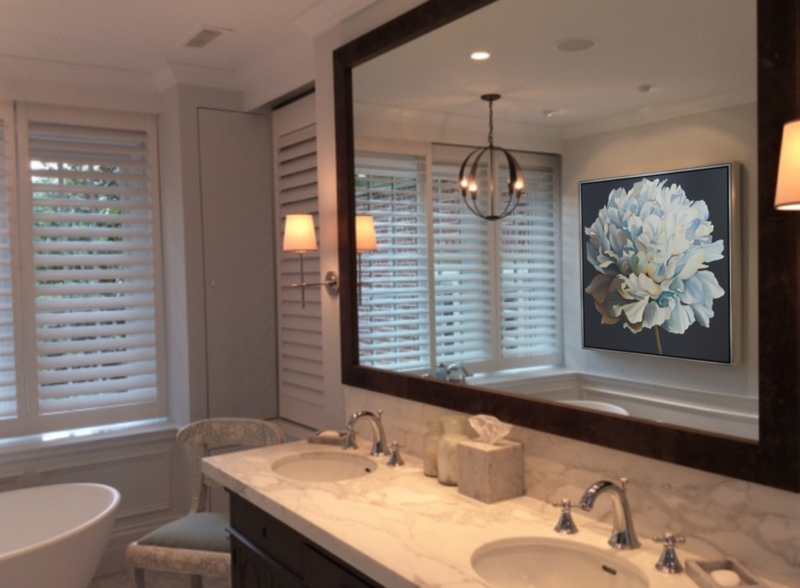 Make a statement in your master bath by filling the wall space with a custom mirror the length of the cabinetry below. Choose a frame of similar material as your cabinetry to echo cohesion in your space. A classic touch to bring a combination of space, light and character to the bath’s surroundings. 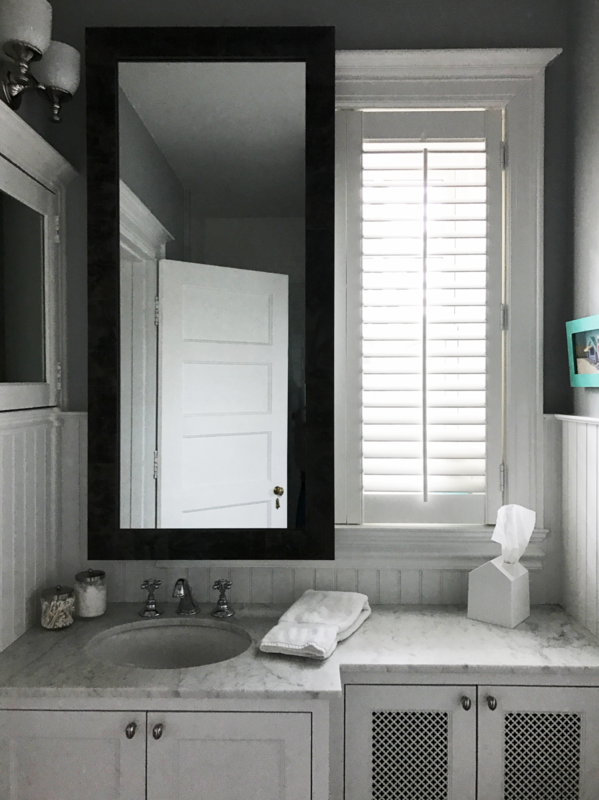 The perfect solution to a small space with a window in place of a wall above your vanity: Float a custom mirror! A clever addition to your washroom that provides both form and function while adding instant intrigue to your space.